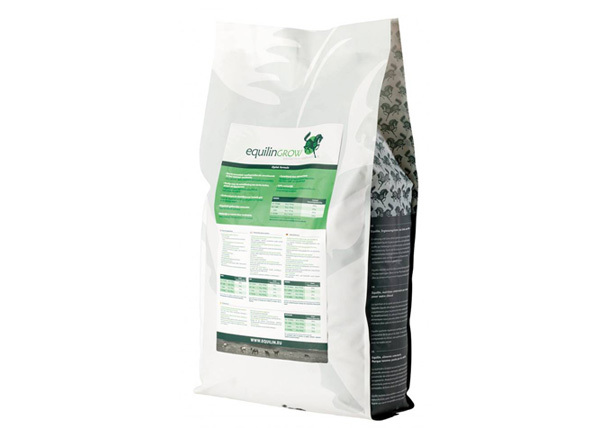 EquilinGROW is a complete supplement for growing young horses and ponies in addition to a ration of roughage or grass. Roughage alone does not usually meet what young animals need for healthy growth of, among other things, bones and joints. In later life, this can lead to horses that are more susceptible to injury, with or without associated changes in the joints. EquilinGROW gives the young, growing horse just what it needs. Like the essential proteins, a correction in the phosphorus/calcium balance and well absorbable minerals like copper, selenium, magnesium and zinc. It also stabilizes the intestinal flora. A must for every potential sport horse!